Love those colors. He does have U on the bottom of his feet with what looks to be paint marker but should be able to be cleaned off easily. I will do my best to answer them for you. He articulates at the neck, shoulders, elbows, wrists and thighs. LEX LUTHOR. BATMAN VS SUPERMAN SERIES. I DO THE BEST ON INFORMING ABOUT ANY PRODUCT SPECIFICATIONS AND PRODUCT'S CONDITION. 100% complete with accessories. I really love these toys, so I will make sure. LEX LUTHOR SERIES. DETECTIVE COMICS. WALMART EXCLUSIVE. I DO THE BEST ON INFORMING ABOUT ANY PRODUCT SPECIFICATIONS AND PRODUCT'S CONDITION. DC Multiverse Lex Luthor BAF Head Sculpt x2 and Cape only. 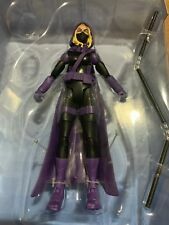 ITEM: DC Multiverse The Ray. SERIES: Rebirth Super Lex Luthor CnC Wave. We're pretty easy-going and are willing to help any way we can but we can't help if we don't know that there is a problem. If there is a problem with your order. LEX LUTHOR. BATMAN VS SUPERMAN. I DO THE BEST ON INFORMING ABOUT ANY PRODUCT SPECIFICATIONS AND PRODUCT'S CONDITION. DC Comics VILLAINS Capsules Build Play Vending Machine FIGURES "You Choose"
We believe that everything could be solved by kindly communication. We will try our best to sort it out. We will reply you as soon as possible. Item is in mint out of box conditi on. Item has been kept in a display case until now. Publishers reserve the right to change or alter covers. Publishers & Diamond Distribution. Derby City Comics & Toys has got what you need! See pictures for more details. Like what you see?. He is in great condition. He was on display and then in storage. Good joints. Please look at the pictures for details. I accept Paypal as the form of Payment. I am currently only shipping to the United States and I use the Ebay global shipping service. From a smoke free home and pet free home. I will gladly combine shipping on all auctions won. Great shape! From an adult collector. This item is very clean and has been examined thoroughly. Includes: Complete figure with all accessories and base. Size: 6.5". Condition: Has a few paint imperfections; overall great. 100% guaranteed to be received as listed. Any paint flaws is from the manufacturer. Dc Comics Multiverse Walmart Exclusive Lex Luthor C&C Spoiler Figure Loose. This item is very clean and has been examined thoroughly. Includes: Complete figure only. Size: 6", 1:12 scale. Condition: Has a few tiny paint imperfections; overall great with tight joints. 100% guaranteed to be received as listed. 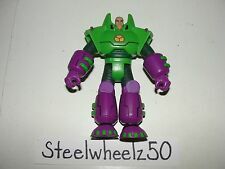 DC Universe: Infinite Heroes Lex Luthor (Battle Armor). Released in 2009. ITEM: DC Multiverse Movie Batman's Grapnel Gun Collect 'n Connect From Lex Luthor. SERIES: Batman v Superman Grapnel Gun Collect 'n Connect Wave. LEX LUTHOR IS. NOT INCLUDED WITH THIS ITEM. If there is a problem with your order. Item is in mint/near mint condition. Item has been kept in a display case. Publishers reserve the right to change or alter covers. Blip Toys DC Comics Squinkies Series 1. We are willing to work with you if you let us know you have a problem. small collectible toys and could pose a choking hazard for children under 4 years old. 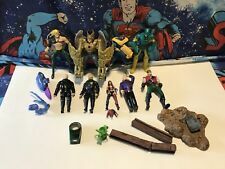 DC Comics Multiverse THE RAY DC Rebirth (Lex Luthor CNC Collect & Connect Wave). Condition is Used. No CNC Parts included as seen. Shipped with USPS 1st Class Mail. AWESOME NEW CONDITION NEVER PLAYED WITH. ITEM: DC Multiverse Super Lex Luthor A lternate Head. SERIES: Rebirth Super Lex Luthor CnC Wave. We're pretty easy-going and are willing to help any way we can but we can't help if we don't know that there is a problem. Trending at C $10.59eBay determines this price through a machine-learned model of the product's sale prices within the last 90 days. Funko DC Justice League Lex Luthor. He is in mint condition with no play wear. I will do the rest for you. This is very important! SERIES: Batman v Superman Grapnel Gun Collect 'n Connect Wave. ITEM: DC Multiverse Movie Lex Luthor. If there is a problem with your order. We're pretty easy-going and are willing to help any way we can but we can't help if we don't know that there is a problem.